Breast Cancer has hit my family personally, first my mom then her sister. Luckily my mom is 14 years strong and her sister is 4 years now. So helping spread the word about Companies That Give Back is important to me. If you have a Breast Cancer story please leave a comment, we can all benefit from others strength and courage! And if you are a company that gives back shoot me an email and I will add you to this list. Baroni Designs, awareness jewelry for Breast Cancer. They have both gold and silver necklaces that feature the ribbon, lotus charms and word charms like “strength, believe or hope”. Baroni donates 15% of sales from this special collection towards Breast Cancer Education. Hanae Mori EDC No. 8. With each sale of the fragrance, Hanae Mori will give 2% of profits to the National Breast Cancer Coalition Fund. Fitting perfectly in any Think Pink feature with pink bottle and a cherry blossom scent, the fragrance gives back to those who’ve suffered. Since 2007, Renfro Foods has been re-fitting a select group of its products with pink lids and pink ribbon labels to promote breast cancer awareness. A percentage of sales from these products benefits breast cancer awareness and cancer research. Products this year include Mrs. Renfro’s Green, Habanero, Mango Habanero, Peach, Black Bean, Raspberry Chipotle, Pineapple, Tequila and Pomegranate salsas. Beneficiaries include MD Anderson, the Fort Worth Komen chapter and Cook Children’s hospital’s leukemia/lymphoma department. SensorPEDIC is partnering with major retailer Dillard’s to offer the follow promotion this October in honor of Breast Cancer Awareness Month and will last as long as supplies last. This Limited Edition SensorCool Queen Size pink pillow has been specially designed with our two sided ventilated SensorCool gel overlays on both sides of the pillow and memory foam design to provide pressure relieving therapeutic comfort while keeping you cool all night long. This is the first pillow on the market to feature the gel overlay on both sides, so you’re always on the cool side of the pillow! Proceeds from the sale of this pillow will be noted on both Dillard’s and SensorPEDIC’s behalf to the National Breast Cancer Research. This organization (http://www.nationalbreastcancer.org) takes 86% of its donations and spends it on education, patient services and R&D. The pillow retails for $60. KIND (a company with a social mission to make the world kinder) is joining BFFL Co to offer a limited-edition Breast BFFL Bag. This beautiful Limited Edition Breast BFFLBag breast surgery recovery kit is a bright pink quilted designer zip tote that comes packed with everything needed for surgical recovery, such as: specially-designed axillapilla comfort pillow; wound and drain care supplies; mybody skin care gift pack; Bio-Oil moisturizing scar treatment; toiletries, organizing tools and instructions; a box of 12 KIND bars; and more. 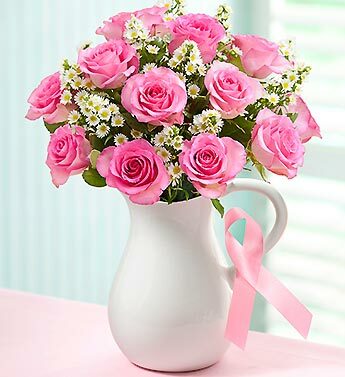 · For every bad sold in October, KIND will donate an extra $5 to Friends Fighting Breast Cancer. The Pink Ribbon Tape Dispenser retails for $5.99. For each product sold, Staples will donate $0.50 to the City of Hope for breast cancer research, treatment and education. You can find all the Pink Ribbon Product at Staples.com. St. Luke’s Medical Center in Houston, Texas is launching a new awareness campaign to join the fight against breast cancer, to be featured all of October. It simply encourages people to “Make a Stand” against breast cancer, by literally making a pink lemonade stand and selling or giving away pink lemonade. With each purchase of pink frames throughout the month of October Coastal.com will make a donation of $25.00 to support breast cancer research. Not only are these frames super cute and stylish, but also each purchase will be supporting an incredible cause! The Breast Cancer Awareness “pink frames” come in a variety of styles like wayfarer, square, as well as cat-eye, and are priced starting at $67.00 (single vision lens are included). All styles are also available as prescription or non-prescription sunglasses. Availability: You can find at TheWetBrush.com as well as over 1000 Cosmoprof Stores nationwide. Shock Doctor Sports will donate to National Breast Cancer Foundation, Inc. in an effort to provide continued breast cancer research, education and support, with pink protective products available in stores and online through October. For more information about the National Breast Cancer Foundation or the Pink Gear visit the complete line of pink protective gear. Breast cancer is the most common cancer among American women, except for skin cancers. About 1 in 8 (12%) women in the US will develop invasive breast cancer during their lifetime. After increasing for more than 2 decades, female breast cancer incidence rates began decreasing in 2000, then dropped by about 7% from 2002 to 2003 (www.cancer.org). An elegant, white striped, 100% fine Egyptian cotton pajama, delicately detailed with baby pink piping and an embroidered pink ribbon on the left breast pocket. Drawstring waist has a touch of elastic for an easy fit with just the right amount of stretch. 15% of the proceeds go to the National Breast Cancer Foundation. Breastcancer.org has once again partnered with celebrity favorite jewelry designer Chan Luu, a champion for women’s health issues, to roll out a collection of bracelets as part of Think Pink, Live Green; Breastcancer.org’s Global Breast Cancer Prevention initiative. Not only are the bracelets stylish, but 50% of each sale will go to Breastcancer.org. The bracelets are now available for purchase online: http://www.chanluu.com/womens-jewelry/chan-luu-for-breastcancer-org. This I great! I like that companies are doing punk products for breat cancer awareness. It’s even better that they are giving back. I love it that you can help my buying products. Was happy to see Mrs. Renfro on the list, and the products are popular ones.